Virginia Right! 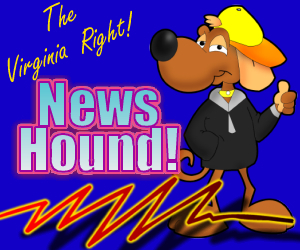 News Hound for 11/17/2010 | Virginia Right! Wrong Guy Executed? I Don’t Care. Dude, where’s my Obamacare waiver? ‘Dancing’ Fans Want Sarah Palin to Feel Death’s Sting? Republican Does Not Equal Conservative. Even in Texas. Where Do All Those Union Dues Go?